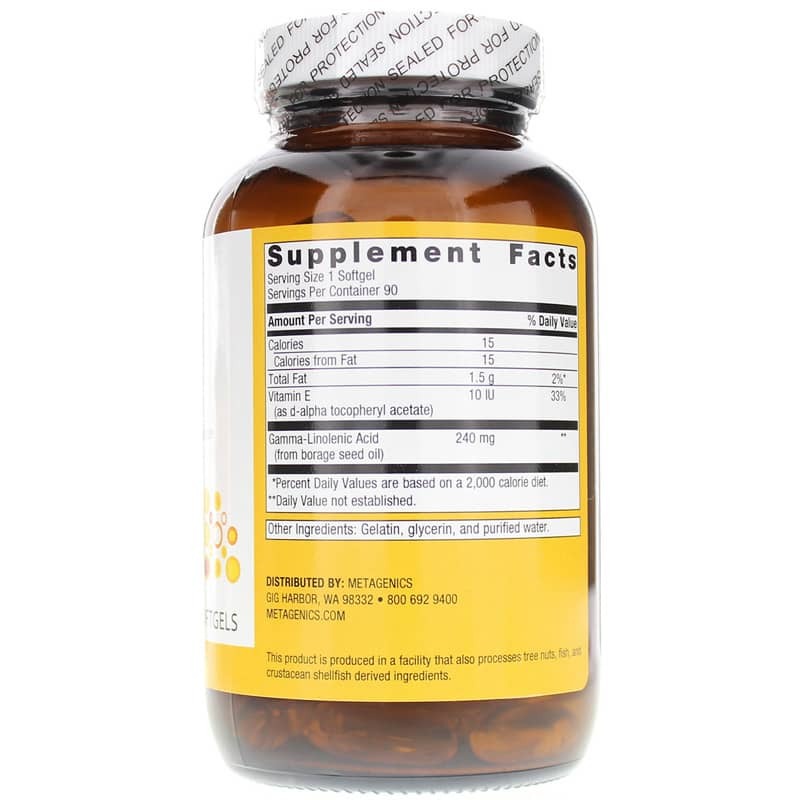 Omega-6 fatty acids are essential for optimal health, and gamma-linolenic acid (also known as GLA) is one of the most important. Your body does not naturally produce it, so you must get it from your daily diet. GLA is commonly found in plant-based oils, such as borage seed oil, black currant seed oil, and evening primrose oil. 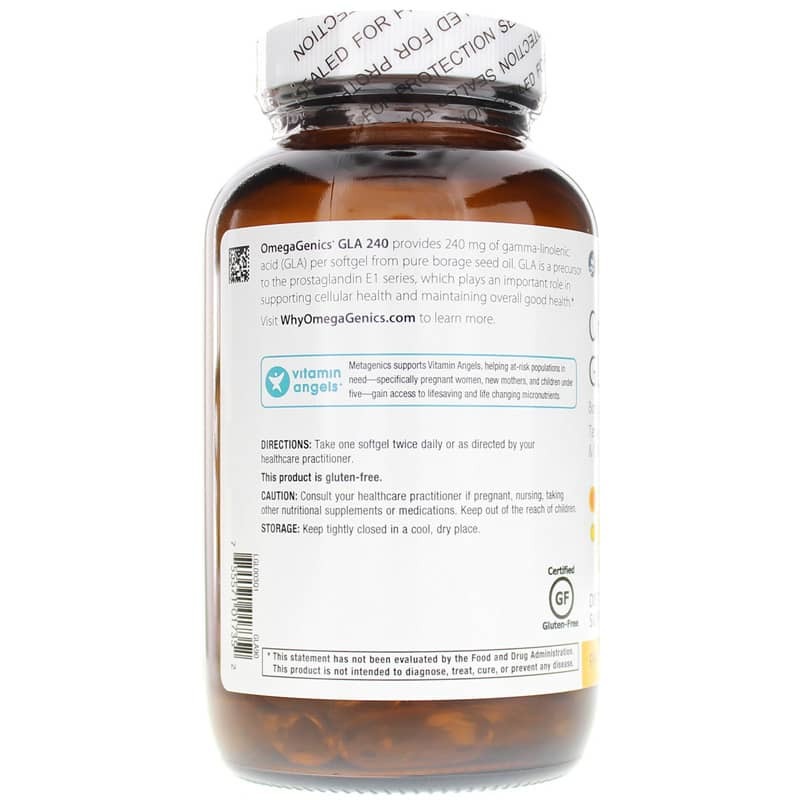 OmegaGenics GLA 240 from Metagenics is a natural supplement that provides 240mg of GLA for the optimal support of healthier cell membrane permeability and much more. Make the choice to achieve better health. OmegaGenics GLA 240 from Metagenics supports an overall healthier you by supporting healthy blood flow, nerve function, and more. Give it a try today! Adults: Take one softgel twice daily or as recommended by a healthcare professional.